Winter is right around the corner and now is the time to buy your next home in the mountains! And now is a great time to buy your dream home or next income property in the Colorado mountains! Over the next few weeks we will start to see a drastic reduction in the number of homes on the market. Most homes that have not been sold will be removed from the market so they can be used as vacation rentals during the ski season. 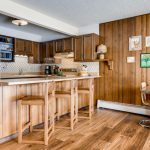 Homeowners can cover their expenses and generate positive cash flow during the winter months by using their home as a vacation rental. Why wait another year and let someone else make all of the money? Contact me now to set up a time to search for property – 970.389.6987 or anne@comtnrealty.com! Do you know someone looking to buy real estate in the Mountains? I would also like to help any of your friends or acquaintances who may be looking to find their dream retreat. A referral is the highest compliment I can receive! Are you looking to buy real estate in another area? I work with a network of agents all over the country and I would be happy to put you in touch with a great realtor in your area! 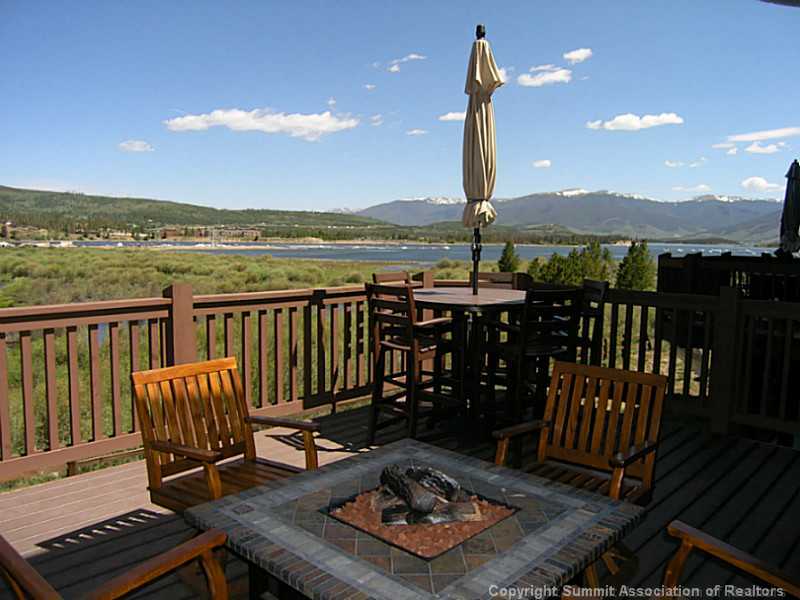 Click HERE to search the Summit County Colorado MLS or to sign up for property notifications. 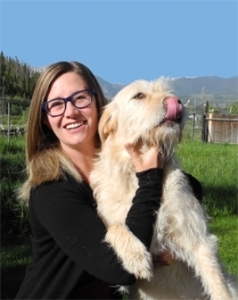 As resident and a homeowner in Dillon, I have intimate knowledge of the real estate market as well as the lifestyle that you are looking for. I specialize in real estate in Frisco, Breckenridge, Silverthorne, Dillon, Keystone, Copper Mountain, Vail, Beaver Creek and other surrounding areas. Contact me to find your dream home today!  Copyright © 2014 Anne Skinner – Mountain Real Estate, All rights reserved. 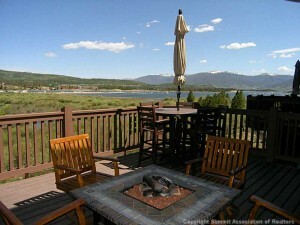 Want to know what the property market is doing in Summit County Colorado. Check out the great analysis that Land Title Guarantee Company puts out each month. Market Analysis by Area for August: August experienced a downturn from last August 2013 in Summit County. There were 203 transactions with $88,825,100 in gross monetary volume. The average transaction price for all 18 reported areas at $439,258, average residential price was $474,525 and the median residential price was $400,000. The average residential PPSF was $300. YTD Transaction Summary: There have been a total of 1141 transactions with $546,016,981 monetary volume, the average transaction price for all 18 reported areas is $478,735. The average residential price is $502,361. The median residential price is $402,000. The average PPSF is $312. Market Snapshot for YTD 2014 vs. 2013: Values are as follows: Average Indicators for $: Single Family +3%, Multi- Family +5% and Vacant Land +10%. Median indicators for $: Single Family +5%, Multi- Family +7% and Vacant Land +35%. These indicators translate that the prices are still fairly stable to last year, increasing slightly. Market Analysis % Change showing years 2004-2014 YTD: August monetary volume ($88,825,100) is down 16% from August 2013, transaction volume (203) is down 6% from August 2013. 2014 YTD (8 months) monetary volume is up 5% from YTD 2013. YTD 2014 transaction volume is up by 2% from YTD 2013. Residential Market Sales by Price Point : Residential volume in August had 171 transactions with $81,143,800 gross volume. There were 7 properties that sold for $1M and above in August. The most active price point in August was between the ranges of $300K to $400K, with $400K- $500K in second place. There were 66 Single family, 105 Multi-family and 8 Vacant land transactions in August. 2014 Average Price History: Average residential pricing continues to be consistent as of August – Single family is $770,746, Multi- family is at $362,167 and Vacant land is $357,345. This graph on page 7 is a great piece to show your clients that our market has held it’s value over all these years. Historical Cost Breakdown YTD 2014 : There have been 953 residential transactions YTD 2014 and $478,750,481 gross volume with 72 properties selling for a $1M and over- Compared to 2013 YTD, there were 903 transactions and $453,587,400 gross volume, 76 properties at $1M and over and in 2012 YTD, there were 718 transactions with $365,677,000 gross volume, 56 properties at $1M and over. Top Lender Graph: There were 510 loans in August, with 64% of the purchasers obtaining financing at the time of sale. 36% of the real estate closings were cash transactions. There were 121 Refinances. 260 loans were related to Timeshare Sales. Market Highlights: Please see page 10 of the Market Analysis-View the higher priced purchases in August with again no bank sales. Foreclosures: Foreclosure actions was flat with 11 in August 2014 compared to 12 in August 2013. There have been a total of 113 Foreclosure actions YTD 2014. Land Title Purchaser Highlights ( Page 15): There were 7 higher end sales in August to note- you can see the details on this report. In August, the majority of our buyers for real estate transactions continue to be the Front Range demographic at 42% of our market, only 32% are local and 26% are out of state buyers. If you are looking to relocate to Summit County, it is important to know about the options your children have for school. Dillon Valley Elementary is the only bilingual school in the county. Check out this great article from the Summit Daily. For the next half hour, Ms. Evangelina, who is originally from Argentina, helped students pronounce words they read aloud and asked them questions about what they read. “Muy buena memoria. Muy bien,” she said to one student. (Very good memory. Very good.) Meanwhile, Josie added new Spanish words, like manejar (to drive), to her paper. Josie attends Dillon Valley Elementary, which offers the only dual-language program in Summit County. Since the program began in 2005, the school’s native English- and Spanish-speaking students have been speaking, listening, reading, writing and learning in both languages every day. When Ms. Evangelina’s class ended, Josie walked back to her homeroom class, where Nicole Luse is the teacher. Josie explained that Ms. Luse, who doesn’t speak Spanish, will be her homeroom teacher until next week. Then she’ll switch to Mr. Jose’s homeroom class. In a typical day, Josie bounces back and forth between English and Spanish more times than she can count. The school divides its four third-grade classes into two teams, and each team splits their classroom time 50:50 with an English-speaking teacher and a Spanish-speaking teacher. One week Josie learns new math concepts in Spanish and the next week her English-speaking teacher continues the math lessons in English. The same goes for reading. Dillon Valley’s dual-language approach aims to address rapidly changing demographics in Colorado. “>In the Summit School District last year, one in three of the county’s roughly 3,200 students were Hispanic and one in five were learning English as a second language. Those portions grow at the elementary level and at schools in neighborhoods with more Hispanic people, like Dillon Valley Elementary and Silverthorne Elementary. At noon, Josie walked back to Ms. Evangelina’s classroom. “¿Qué hicimos ayer?” Ms. Evangelina asked again, noticing Josie’s raised hand. “>“Hicimos los problemas con los cuadros en el papel,” Josie said, referring to the tablas matemáticas, or times tables. The class recited the times tables in Spanish. “Trece por cinco, sesenta y cinco … Trece por ocho, ciento cuatro. (Thirteen times five, 65 … Thirteen times eight, 104.) “¿Estos son los más difícil, no? Porque son los numerous más grandes,” Ms. Evangelina said. (“These are the hardest ones, right? Because they’re the biggest numbers.”) >Then Ms. Evangelina passed out a worksheet with math problems on it for the students to work on it in pairs. The Spanish directions stumped Josie and her partner, who talk in English about what they’re supposed to do. Josie decided she needed help. “I’m going to ask her. That’s the best way to find out,” she said. She walked over to Ms. Evangelina, who was helping other students. “¿Maestra, qué es la última parte …?” she said, pointing to a spot on the paper. (“Teacher, what is the last part …?”) Because Josie has advanced math and reading skills, she spends extra time every day learning those subjects in Spanish with Ms. Evangelina. Besides teaching proficiency in both languages, the school hopes its dual-language program will help close the achievement gap between English- and non-English-speaking children, instill respect for different cultures among the students and assist them in the workforce as they grow older. At 12:30 p.m. it’s time for recess. Outside, Josie and her friends did somersaults, cartwheels, back bends and headstands in the grassy field. Josie pretended to be a lawnmower, scooping up dead grass and throwing it in the air with a smile. Then the girls ran to a climbing structure, where they swung from the bars and chatted in English about their friends, families and how it’s way too hot outside to be wearing tights. One of the girls pointed to a few Hispanic boys playing with a soccer ball and said she would like to play soccer with some of the other kids if they didn’t play too rough. At 1 p.m. the third-graders walked inside for lunch. Generally, the students sat next to other kids who spoke their native language. Between bites of her ham, cheese and salami sandwich, Josie explained that she’s used her Spanish on two family trips to Mexico. Two years ago, she said, her parents were grocery shopping in a small Mexican store and couldn’t find everything they needed. Josie and her big sister helped by asking store employees for things they knew how to say, like crema del sol (sunscreen) and describing things they didn’t, like avocado. “Verde en el medio con una semilla grande,” Josie recalled. (Green in the middle with a large seed.) This was when she was in first grade and didn’t know the word aguacate, she said. After the half-hour lunch, Josie returned to her homeroom, where Ms. Luse told the students who speak Spanish at home to stay where they are and the ones who speak English at home to line up by the door. The class divided in half as the hispanohablantes, Spanish speakers, stayed seated to work on their English with Ms. Luse, and the angloparlantes, English speakers, walked next door to improve their Spanish with Mr. Jose. Jose San Miguel, who moved to Summit with his family this summer from Madrid, instructed students to act out the Spanish verbs andar (to walk), escuchar (to listen) and mirar (to look). In half a school day, Josie studied reading in Spanish, learned about finance in English, practiced math in Spanish and giggled with friends in English. Her brain seemed to bounce without pause between the two languages. While drawing and narrating pictures in Spanish, Josie talked in English to her friend. Mr. Jose overheard and reminded her, “Español, Josie.” In another hour, she would return to learning in English. For now though, she picked up a tablet and headphones to listen to a story called “Ay Caramba” in Spanish. Check out all the great Man of the Cliff festivities this weekend at Nottingham Park in Avon. Man of The Cliff 2014 is the 6th annual non-profit event comprised of outdoor, rugged activities that are modified to fit all strength and ability levels. And the best thing about MOTC is 100% of all funds raised benefit local charity, First Descents. House Hunters is doing an episode on Breckenridge, CO. If you like what you see, please contact me at 970.389.6987 or anne@comtnrealty to find your dream home in Breckenridge or other surrounding areas! Mike and Sean, are commerical airline pilots, who live in Argyle, Texas. 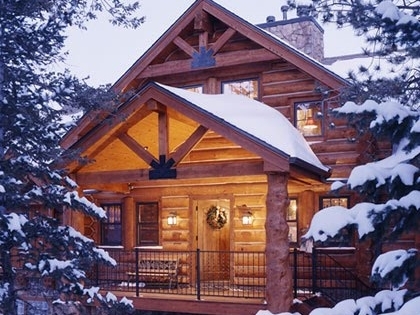 While they love their custom built home, they’ve decided to buy a vacation house in their favorite vacation spot – Breckenridge, Colo. With a budget of $800,000 – $1 million, Mike really wants a true log cabin house and is willing to look farther away from Breckenridge to get it. Sean, wants to be in a ski-in/ski-out home and is willing to consider condos in the heart of downtown. Click HERE for more information! A job opportunity for Mike has moved the DeBell family from the California coast to Colorado, but without a nearby ocean they are feeling very disconnected to the drink. They’ve decided in order to get closer to the water; a vacation home in nearby Summit County is a must. But with Mike’s busy work schedule, Lisa is searching solo with her son, Andrew, for a lakefront retreat to bring the family back together and back to nature. Wanting to spend less than $299,000, mother and son enlist the help of real estate agent, Sara Austin, to help them choose a home in the beautiful Colorado Rockies, without breaking the bank. The Breckenridge Film Festival begins Thursday 9/18 and runs through Sunday 9/21. Since its opening event in 1981, the Breckenridge Film Festival has celebrated the art of filmmaking. Each year a unique and varied array of independent films, premieres, receptions, educational programs and retrospectives honouring featured guests takes place high in the Colorado Rockies. One of the oldest film festivals in the country, the Breckenridge Film Festival is private, non-profit organization governed by a volunteer board of directors. Funding for the Festival comes from local public and private grants, sponsorships, fundraising events, individual contributions, in-kind assistance, and revenue from tickets and merchandise. More than 150 individual volunteers, local theatres and other venues are involved in this annual event. Educational outreach programs, children’s films, celebrity guests, independent filmmaker forums and other events celebrating the art of film, contribute to the Festival’s diverse program. The leaves are changing and we have started to see snow on the peaks up here in the Mountains. 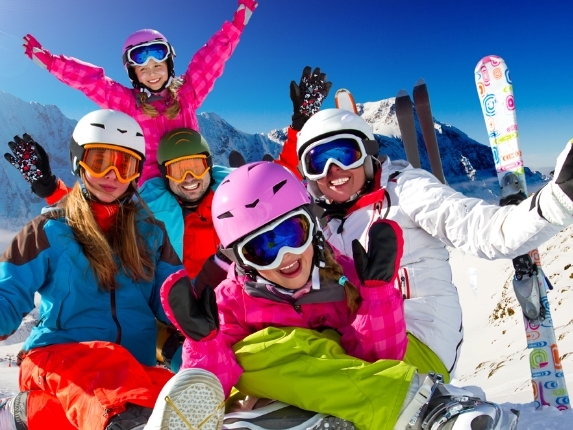 The ski season is on its way and now is the best time to buy the ski home or mountain retreat that you have been dreaming of. It is still possible to buy property for under $200K so what are you waiting for? Avoid the I-70 traffic this winter and be able to walk right out your door and onto the ski slopes! If you are already lucky enough to own your dream home here, make sure it is ready for winter. Check out these great tips from MSN Real Estate. Once the leaves fall, remove them and other debris from your home’s gutters — by hand, by scraper or spatula, and finally by a good hose rinse — so that winter’s rain and melting snow can drain. Clogged drains can form ice dams, in which water backs up, freezes and causes water to seep into the house, the Insurance Information Institute says. As you’re hosing out your gutters, look for leaks and misaligned pipes. Also, make sure the downspouts are carrying water away from the house’s foundation, where it could cause flooding or other water damage. One of the best ways to winterize your home is to simply block obvious leaks around your house, both inside and out, experts say. First, find the leaks: On a breezy day, walk around inside holding a lit incense stick to the most common drafty areas (recessed lighting, window and door frames, electrical outlets) and see where the worst drafts are occurring. Then, buy door sweeps to close spaces under exterior doors, and caulk or apply tacky rope caulk to those drafty spots. Outlet gaskets can easily be installed in electrical outlets that share a home’s outer walls, where cold air often enters. Outside, seal leaks with weather-resistant caulk. For brick areas, use masonry sealer, which will better stand up to freezing and thawing. Even if it’s a small crack, it’s worth sealing up. First, turn your furnace on now, to make sure it’s even working, before the coldest weather descends. A strong, odd, short-lasting smell is natural when firing up the furnace in the autumn; simply open windows to dissipate it. But if the smell lasts a long time, shut down the furnace and call a professional. It’s a good idea to have furnaces cleaned and tuned annually. Costs will often run about $100-$125. Throughout the winter you should change the furnace filters regularly (check them monthly). A dirty filter impedes air flow, reduces efficiency and could even cause a fire in an extreme case. Toss out the dirty fiberglass filters; reusable electrostatic or electronic filters can be washed. According to the U.S. Department of Energy, a home with central heating can lose up to 60% of its heated air before that air reaches the vents if ductwork is not well-connected and insulated, or if it must travel through unheated spaces. That’s a huge amount of wasted money, not to mention a chilly house. Ducts aren’t always easy to see, but you can often find them exposed in the attic, the basement and crawlspaces. Repair places where pipes are pinched, which impedes flow of heated air to the house, and fix gaps with a metal-backed tape (duct tape actually doesn’t stand up to the job over time). Ducts also should be vacuumed once every few years, to clean out the abundant dust, animal hair and other gunk that can gather in them and cause respiratory problems. Now, of course, is the time to take down the window screens and put up storm windows, which provide an extra layer of protection and warmth for the home. Storm windows are particularly helpful if you have old, single-pane glass windows. But if you don’t have storm windows, and your windows are leaky or drafty, you may need to update them. Of course, windows are pricey. Budget to replace them a few at a time, and in the meantime, buy a window insulator kit. Basically, the kit is plastic sheeting that’s affixed to a window’s interior with double-stick tape. A hair dryer is then used to shrink-wrap the sheeting onto the window. (It can be removed in the spring.) “It’s temporary and it’s not pretty, but it’s inexpensive (about $4 a window) and it’s extremely effective,” says Lipford. Ideally, spring is the time to think about your chimney, because “chimney sweeps are going crazy right now, as you might have guessed,” says Ashley Eldridge, director of education for the Chimney Safety Institute of America. That said, don’t put off your chimney needs before using your fireplace, Eldridge advises. “A common myth is that a chimney needs to be swept every year,” says Eldridge. Not true. But a chimney should at least be inspected before use each year. Ask for a Level 1 inspection, in which the professional examines the readily accessible portions of the chimney. Woodstoves are a different beast, however, cautions Eldridge. They should be swept more than once a year. A general rule of thumb is that a cleaning should be performed for every ¼ inch of creosote, “anywhere that it’s found.” Why? “If it’s ash, then it’s primarily lye — the same stuff that was once used to make soap, and it’s very acidic.” It can cause mortar and the metal damper to rot, Eldridge says. Another tip: Buy a protective cap for your chimney, with a screen, advises Eldridge. “It’s probably the single easiest protection” because it keeps out foreign objects (birds, tennis balls) as well as rain that can mix with the ash and eat away at the fireplace’s walls. He advises buying based on durability, not appearance. One other reminder: To keep out cold air, fireplace owners should keep their chimney’s damper closed when the fireplace isn’t in use. And for the same reason, woodstove owners should have glass doors on their stoves, and keep them closed when the stove isn’t in use. “Reversing your ceiling fan is a small tip that people don’t often think of,” says Lipford. By reversing its direction from the summer operation, the fan will push warm air downward and force it to recirculate, keeping you more comfortable. Here’s how you know the fan is ready for winter: As you look up, the blades should be turning clockwise. A burst pipe caused by a winter freeze is a nightmare. Prevent it before Jack Frost sets his grip: Before freezing nights hit, make certain that the water to your hose bibs is shut off inside your house (via a turnoff valve), and that the lines are drained, says Broili. Next, go looking for other pipes that aren’t insulated, or that pass through unheated spaces — pipes that run through crawlspaces, basements or garages. Wrap them with pre-molded foam rubber sleeves or fiberglass insulation, available at hardware stores. If you’re really worried about a pipe freezing, you can first wrap it with heating tape, which is basically an electrical cord that emits heat. This is a great time to check the operation — and change the batteries — on your home’s smoke detectors. Detectors should be replaced every 10 years, fire officials say. Test them — older ones in particular — with a small bit of actual smoke, and not just by pressing the “test” button. Check to see that your fire extinguisher is still where it should be, and still works. Also, invest in a carbon-monoxide detector; every home should have at least one.